We do not support Puppy Mills! Welcome to Cathy's Miniature Schnauzer Kennel. Puppies for sale. Miniature Schnauzers since 1999. A lot of hard work and dedication has gone into my breeding program. what other experienced breeders have told me. Reputable breeders who strive hard to weed out genetic problems. Our goal is to provide you with a healthy Schnauzer puppy that is playful sweet tempered and of course, great looking. I'm still hurting from the lies and would never want you to believe what was written. Click here if you want to read the lies. Get the scoop on Mrs. Jones. Click on Mrs. Jones' picture to hear 99.9kez FM interview. Our puppies are spoken for. We'll be breeding again soon. All puppies are $2,500 and sold with a limited registration. Lots of testing in the blood lines to weed out genetic problems. Ohio State University in breeding. And even though experience is the best teacher, I still learn something new every day. All puppies have their tails docked, dewclaws removed, are wormed and come with an individual veterinary health record. you're looking for a companion with unconditional love, you can't beat a Miniature Schnauzer. with our Puppy Agreement is necessary to hold a puppy. Please call Cathy: 614 877-9808 before making a deposit to hold your puppy. 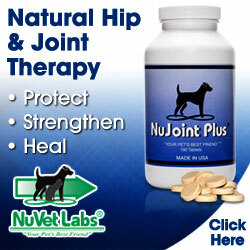 Look our dogs over on the Ladies and Gents Pages and see what you think. All puppies grow up to look and act like the parents. It's all in the breeding! square in build with nice tail sets and thick soft coats. The temperaments are sweet and playful, not barky nor hyper. Puppy Agreement is necessary to hold a puppy. 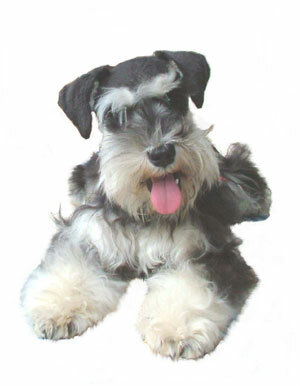 Miniature Schnauzer Puppies, Careful breeding, Adoption, AKC, Good Health & Pet Vitamins. healthy puppies who are given a thorough health check by our vet before leaving here. We don't ship puppies and welcome buyers to meet the parents and see the nice conditions. Tennessee, Texas, Virginia, Washington D. C., West Virginia, & Wisconsin. Watch as Landry meets his baby girl for the first time. See how Gentle he is. before making a deposit to hold your puppy. A tribute to Maggie Mae. Ohio State Buckeye fans. Go Bucks! Jilly Bean's, Schnauzer puppies pictured below, are all spoken for. Incarcerated but not for long! Breaking out soon. 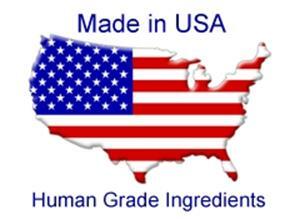 Vitamins, Dog Food, Diet, Health, Potty Training, AKC Breeding Miniature Schnauzers. and how often to see the vet. We won't leave you stranded. Miniature Schnauzer puppy agreement and send a deposit Puppy Agreement. Click to see if we have any available puppies for you. If you wish to reserve a puppy, you must first print and fill out our Puppy Agreement. A deposit of $500 is required to hold a puppy of your choice. Some Schnauzer links made handy for you.